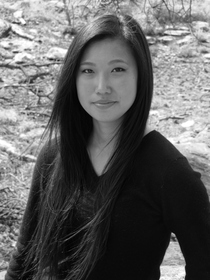 Occupation Navajo Nation Outreach Coordinator - Reader to Reader, Inc.
Ophelia Hu earned her B.A. in Environmental Studies in 2012 from Amherst College. The first two chapters of THE GOOD FIGHT won the 2012 Williams-Mystic Joseph Conrad Essay Contest. Her fiction has appeared in The Common and HESA Inprint and was shortlisted for the 2013 SLS Unified Literary Contest. She now lives in the Navajo Nation. Ophelia is currently writing an absurdist short story collection scheduled for completion by Spring 2014. I write because the distance between my hand and heart is too fast to be remembered and must be recorded instead. "Regular conversation is structurally strange, isn't it?" I find it interesting. It says much more than it lets on, and in between all those words are so many roads with loads of riders, all with amazing stories to tell. Ophelia--it's an honor to have you with us. Welcome to Fictionaut! Welcome! Glad you are here. And a book coming out soon. How exciting. Congratulations. You must log in to write on Ophelia Hu's wall.